Der Podcast The Dropout von ABC News wurde am 06.02.2019 veröffentlicht und platzierte sich erstmals am 11.02.2019 auf Platz 80 der myCharts365 Top-100-Podcast-Charts. Die bisher beste Platzierung erreichte der Podcast The Dropout von ABC News mit dem 57. Platz am 05.04.2019, die aktuell letztmalige Platzierung in den myCharts365 Top-100-Podcast-Charts erreichte er am 07.04.2019 mit Platz 91. Damit war The Dropout von ABC News bisher insgesamt 11 Tage in den myCharts365 Top-100-Podcast-Charts vertreten. Money. Romance. Tragedy. Deception. 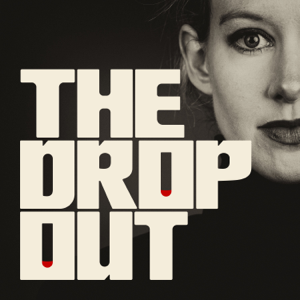 The story of Elizabeth Holmes and Theranos is an unbelievable tale of ambition and fame gone terribly wrong. How did the world's youngest self-made female billionaire lose it all in the blink of an eye? How did the woman once heralded as "the next Steve Jobs" find herself facing criminal charges -- to which she pleaded not guilty -- and up to 20 years in jail? How did her technology, meant to revolutionize healthcare, potentially put millions of patients at risk? And how did so many smart people get it so wrong along the way? ABC News chief business, technology and economics correspondent Rebecca Jarvis, along with producers Taylor Dunn and Victoria Thompson, take listeners on a journey that includes a three-year-long investigation. You'll hear exclusive interviews with former employees, investors, and patients, and for the first-time, the never-before-aired deposition testimony of Elizabeth Holmes, and those at the center of this story. New episodes post Wednesdays.